Found this great kickstarter project from 2011. They wanted to do ground source mapping of the return of wildflowers to the City of Detroit due to the increase of abandoned lots. How interesting!! One pervasive vision of Detroit is its ruins - the monolithic hulks of an industrial era gone by, documented in striking photographs and tales of urban exploration. Missing from this narrative is the other side of the coin. 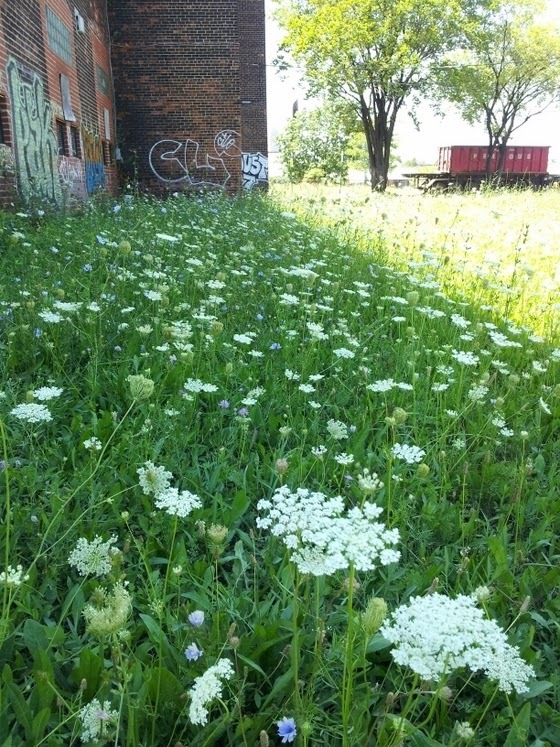 In place of those decaying buildings grow plots of wildflowers and wildlife. After knowing these secret gardens and hidden blooms, we feel this crucial story needs to be told. Thats where you come in. 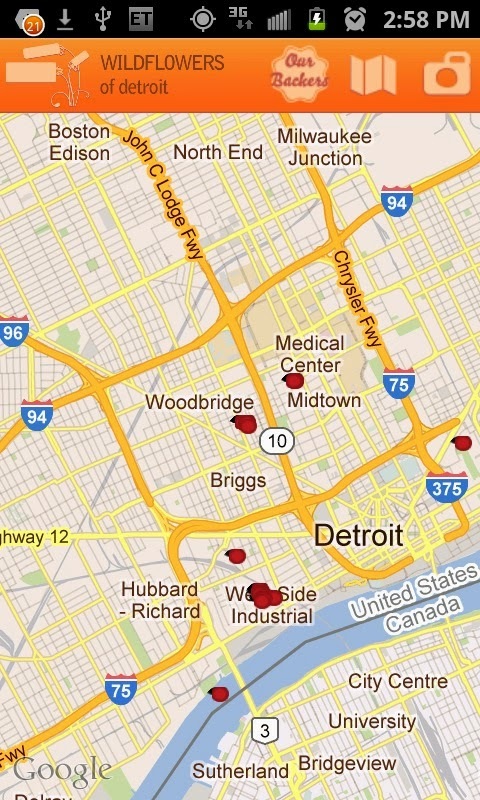 Wildflowers of Detroit is a community technology project for cataloging wild plants growing in Detroit, an effort which can enable people's appreciation of its open space. Though experiencing and appreciating the "empty" fields, we can discover together the emerging ecology of this area. Our technologies collaborative WinterRoot is teaming up with Detroit's Omnicorp Hackerspace and Alley Culture's Seed Exchange to bring this vision into being. A link to one of the creators Tumblr Site. Labels: backyard, Biophilic, ecosystem/habitat, flora, native, visit U.S.